On this national day of generosity, please consider a donation to help local musicians who have fallen on hard times to get back on their feet. The Music Fund of Los Angeles is a 501(c)3, charitable organization providing financial help to professional musicians, music students, and youth music programs in the Los Angeles area. The Fund was founded in 2007 by Hal Espinosa, then-President of the American Federation of Musicians Local 47, who saw a need for a charitable organization that could help musicians in financial distress. Our hope and mission is to help professional musicians who are struggling to maintain their dignity, support the future of music by providing scholarships, and sponsor youth music programs and live music events in Los Angeles. Be an anonymous donor to the Local 47 Musicians’ Relief Fund. Your generous contribution will help members suffering from illness or injury that prevents them from working, or who lack the funds to pay for necessities such as food or rent. 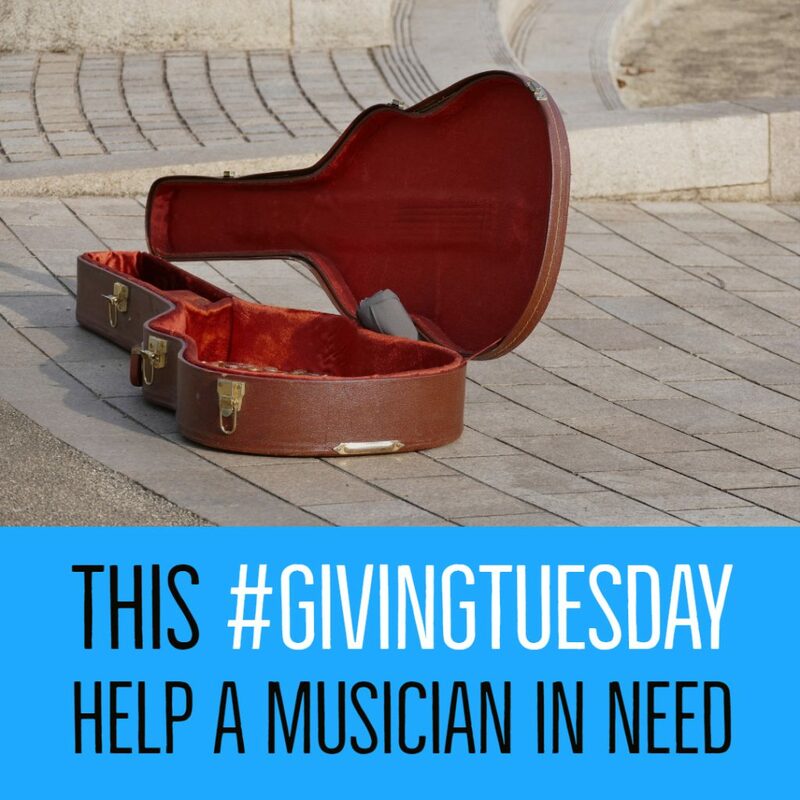 With your support, we can help musicians who need it most. This entry was posted in All News, Features and tagged Giving Tuesday, Local 47 Musicians' Relief Fund, Music Fund of Los Angeles on November 20, 2018 by admin.